Have you ever thought about reading a book to your child without actually reading the book to your child? There is so much more to reading a book than just reading the words. Whether you are reading to a baby or a young child, the first thing to think about when reading a book is positioning. Is your baby snuggled on your lap for contact and bonding? Or maybe you are lying on the floor with your baby with the book in front of you, allowing him some tummy time. Maybe you are encouraging him to sit on his own, building some trunk strength, while you sit beside him or maybe you are both tucked into her bed, warm and cozy, ready to go to sleep. All of these positions for reading are beneficial and can be part of the story time “rotation.” You don’t always need to read in the same position. Sometimes it is fun to be face-to-face so he can see your facial expressions and you can maintain eye contact. The second thing to think about is engaging your child. Some great ways to engage your child in the story are to sing the words, change your voice inflections, and change the volume of your voice from time-to-time to keep it interesting. You could also read with a stuffed animal or puppet in your hand that “acts out” the words to the story. Maybe the stuffed animal or puppet even gives your child kisses or tickles his belly when a certain word is read. You could declare a “word of the day” before you begin the story. When reading to your baby, you do not really have to even read the words to the book. The primary goal of reading to your baby is to engage her, talk to her to build her vocabulary and to bond with her. You can narrate what you see in the pictures, make up your own story while she looks at the pictures, or read part of the story, but add your own embellishments to round out the story. Use the story to talk about emotions with your child. Ask babies and younger children specific questions about the characters in the book. For example, “Is this boy happy or sad?” You can expand upon this by asking your child why the character is happy or sad. For older children, you can build upon this and relate the story to them by asking questions such as “Can you think of a time when you felt sad like Eyore?”, “Why is Eyore sad?”, “What made you sad?”. Before babies are able to respond to you, it is still helpful to ask them questions because they are learning the pause and flow of a conversation and they will eventually start to babble when you pause and allow them time to respond. For older children, you may find that the book serves as more of a “conversation starter” than a story and that is great because it provides language and interaction and connection between you and your child. 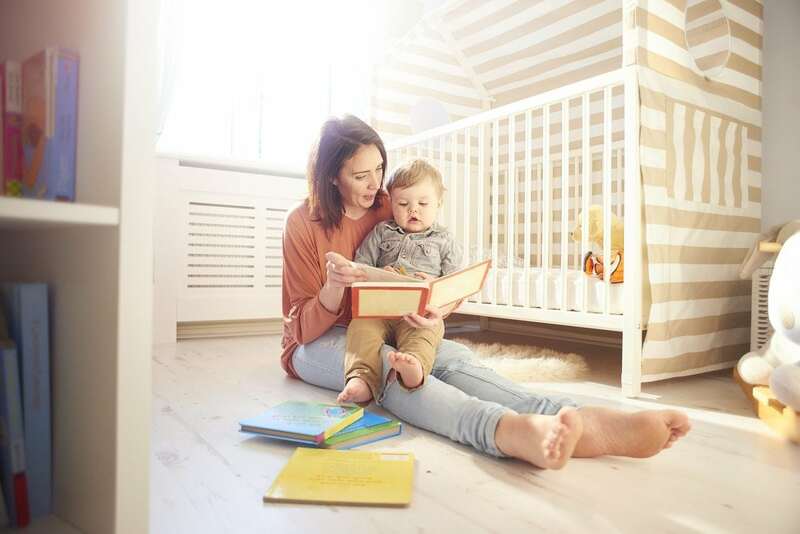 Sometimes as parents we read the same book over and over because babies and young children love repetition and that’s how they learn, but you can use some of these strategies to keep it new and fresh and interesting every time.